If you’re an event planner have you ever thought of working from home? It’s a given that as an event planner you’re naturally organised, you thrive under pressure and you love planning parties for friends and families. So what is stopping you from working from home? Lots of people work from home these days, and this is true of the event planner. In fact, it makes more sense for an event planner to work from home. Home-workers have no overheads, they do not have to pay for expensive uptown office space, and they don’t have to spend money on lavish office furniture. So, do you think you have the expertise and the willingness to start up your own company and work from home as an event planner? 1. Are you going it alone or do you need help? From the start you will need to consider whether you have the resources to employ people or if you’ll have to start off by yourself. If you are lucky enough to be able to employ someone, work out your strengths and weaknesses. Once you’ve figured these out, hire a person to fill any of these gaps. For instance, if you are terrible at keeping track of spending, hire a book-keeper. Likewise, if you hate the advertising side of the business, hire a PR guru. 2. Are you going to specialise in a certain type of event or client? What sort of event do you think you are good at providing? There are tons of types for you to choose from. Some planners work on a wide variety of events and spread themselves across all kinds of clients. These do tend to be larger businesses who have more resources to play around with. However, for smaller companies with tighter budgets, it might be better to focus on a particular type of event. Think about what you are good at. Do you have a magic touch when it comes to dealing with children? Have you got an affinity for older people? 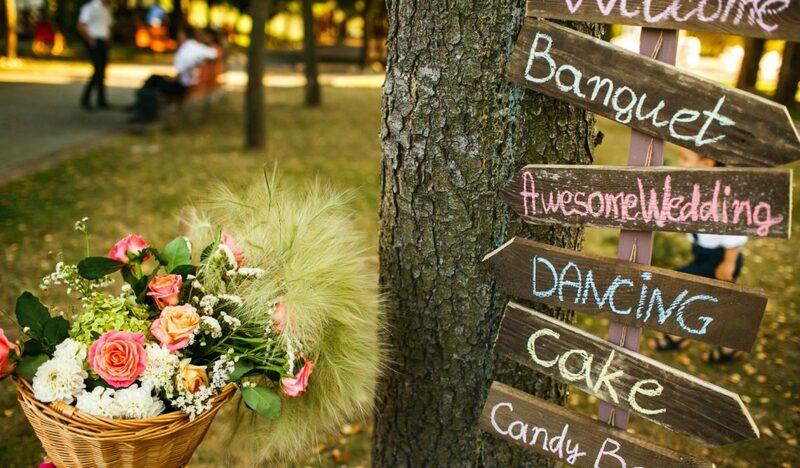 Speaking of clients, some event planners prefer to cater to a particular client. Social clients: weddings, christenings, anniversaries, birthday parties, retirement parties, engagement parties, funeral wakes, and baby showers. Corporate clients: team-building exercises, trade shows, new brands, conventions, business expos, and company parties. Non-profit clients: charity events, fundraising galas, charity auctions, fun days, and charity fashion shows. Whether you want to handle small events (50 guests) or larger. The size of your catchment area (most event planners have a 100-mile radius). Your USP. For instance, some event planners focus on young children and provide parties with entertainment, others plan events for weddings and engagements. It’s no good providing the best events the world has ever experienced if no one knows you are available for hire. For those that can’t afford the set-up costs of a website, organise a Facebook page instead. Many businesses use social media to advertise. There are tons of free webpage builders and sites that offer cheap hosting, but if you don’t feel confident to do this yourself then pay for someone to do it for you. This is the first impression your customers get of you and it will be the difference between whether you are hired or ignored. So if you can’t do it yourself to a reasonable standard, get a professional on-board. Now that you are online you need to get traffic to your website. There are several ways of doing this. Blogging on your website using specific keywords and phrases that are interesting to potential customers. Using social media, such as Facebook, to showcase new deals, offers or limited time deals to potential clients. Target potential clients with relevant information specific to their needs. Print business cards and postcards and display in local shops and offices. Join Facebook groups that are relevant to your business. Make sure you have added your business to local business directories. As with any new business, getting off the blocks is the hardest part. Once you have started and have a few events under your belt, you will wonder why you didn’t try sooner. Good luck!